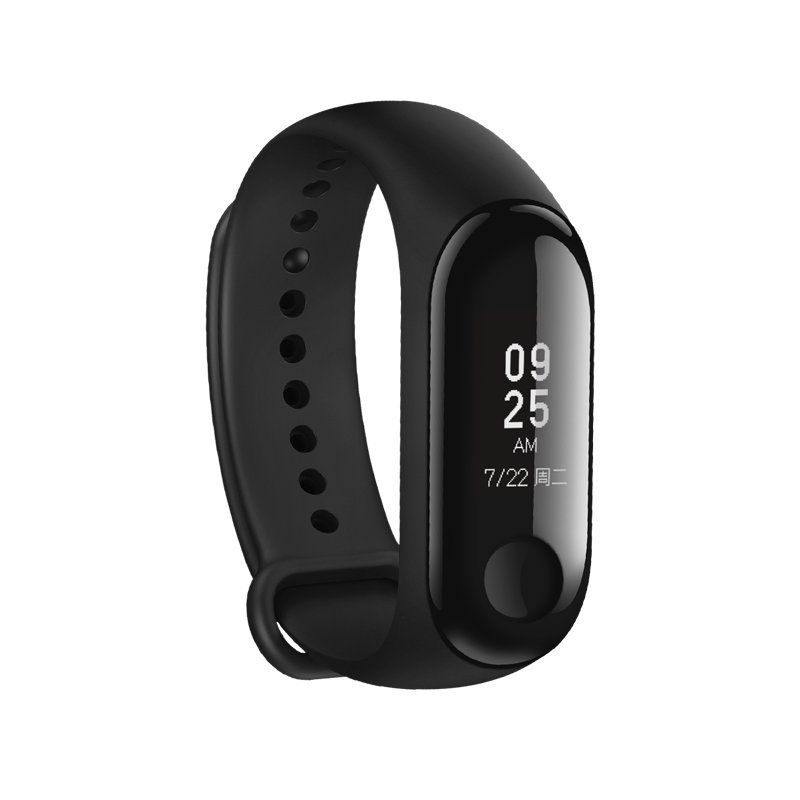 Successfully Added Xiaomi Mi Band 3 - 0.78Inch OLED Touch Screen, Heart Rate Monitor, Pedometer, Sleep Monitoring, Sedentary Reminder to your Shopping Cart. The Xiaomi Mi Band 3 features 0.78inch OLED touchscreen allowing you to clearly keep track of your heart rate, notifications, and more even in bright sunlight. Being 5 ATM water Resistant rating to withstands pressures equivalent to a depth of 50 meters, can be assured that this little sports gadget follows you anywhere no matter the weather conditions - rain, snow, fog, or ice – won't make any difference as the Xiaomi Mi Band 3 will be always there for you and supports you through your workouts. In the sports modes of the Mifit APP, if you turn on one of the sports modes of run outdoor, run indoor, riding or fast walking, just lift your wrist and check the length, mileage, heart rate, speed and other data on your bracelet. Featuring a heart rate monitor this smart gadget keeps track of your heart rate while exercising, resting, and even while asleep – ensuring that you can fully keep track of your health at any time. Supporting Bluetooth 4.2 this heart rate monitor is even able of inform you about incoming phone calls, messages, or social media notifications to make sure that you will never again miss out on anything important. Packing a 110mAh battery this heart rate wristband offers up to 20 days of standby time and will get you through the most demanding of workouts. With its built-in heart rate monitor, you will be able to see how your body reacts to exercise, giving you an insight on how to develop your strength or stamina in an optimal manner. Not only will the Xiaomi wristband motivate you to get active, it also makes sure that you will get enough rest once your training has ended. Coming with a sleep monitor this wristband will make sure you get the needed hours of rest for you to feel fresh and healthy the next day. When connected with your smartphone this Xiaomi heart rate band informs you about incoming calls, messages, and social media notifications. Compatible with both iOS and Android you can be assured that you can use this smartwatch with your phone, no matter which smartphone you’re using. Being a perfect and affordable sport gadget, the Xiaomi Mi Band 3 is there to enhance the fitness levels of people from any age, making it the perfect health accessory for young and old alike.